​In & Out Portables is a division of S&S National Waste, a family owned and operated company, established in 1987. We have been providing portable toilet service in south Florida for over 10 years. Our mission is to deliver top notch service and overall excellence in the industry. We have done the research and found a special process of cleaning and essential natural oils allowing In & Out to offer the "best smelling" portable toilets available in south Florida. We service Miami, Fort Lauderdale, West Palm Beach and everywhere in between. The ADA Compliant Portable Restroom unit has all of the same features as the standard unit except the urinal. This unit is large enough to accommodate a wheelchair and an assistant. ​ALL WHILE offerING competitive prices! 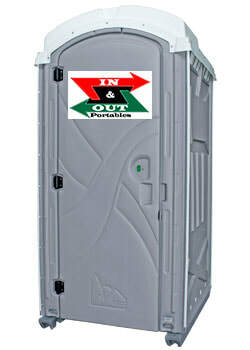 Call one of our operators for more information or to order your portable toilets today! ​of course by offering the cleanest restrooms around! Call one of our sales representatives today - they are eager to assist! Many of our units come standard equipped with hand sanitizer dispensers, urinals and mirrors. Our toilets are the cleanest and most accommodating in the industry!